Summary: 4K UHD Blu-ray movies can give you an immersive viewing experience. So here we list top 10 best 4K UHD Blu-ray movies as of 2019 for you to enjoy at your leisure time. So you’ve finally made the big move and got a 4K UHD Blu-ray player that can run all the latest movies in top-notch quality. Or maybe you’ve found a more cost-effective method of playing these types of movies that doesn’t involve purchasing a pricey new player. Whichever the case, right now you’re probably thinking about checking out some of the best UHD Blu-ray movies to watch in 2019. Well, you’re in luck because we’ve been thinking about that too and we’ve come up with a list of 10 great titles that should be on any movie lovers’ watch list this year. Superhero movies benefit greatly from the enhanced quality offered by UHD, especially those that rely heavily on CGI. Avengers: Infinity War is by far the most ambitious superhero film to date and it definitely didn’t disappoint. If you’re looking for 4K UHD Blu-ray movies that offer non-stop action this is a very solid pick. You might want to brace yourself for this one because IT is one of the scariest UHD Blu-ray movies ever made. The recent remake of Stephen King’s titular novel revitalized the horror genre and brought the fear of creepy clowns to a new generation of viewers. "Merc with a Mouth" is back in one of the best UHD Blu-ray movies on 2019. Protagonist Wade Wilson’s origin story was covered in the original Deadpool so luckily the sequel doesn’t go over it again and instead offers us a rollercoaster of action-packed moments and hilarious shenanigans. Blade Runner’s futuristic cyberpunk setting is an absolute joy to behold in 4K UHD quality. Even better, against all odds the sequel to the 1982 original Blade Runner turned up better than most people would have expected to the point where it’s considered among the best UHD Blu-Ray movies currently available. It seems like everyone has seen Black Panther by now but you’ve definitely been missing out if you haven’t yet seen the 4K UHD Blu-ray version. This version is far superior to the regular 1080p version and truly brings the reclusive nation of Wakanda to life in all its glory. Not all UHD Blu-ray movies need to rely heavily on CGI and special effects in order to provide a great viewing experience in 4K. Dunkirk is a great example of how even a gritty and realistic war movie can look breathtaking when viewed in Ultra High Definition. Anime rarely translate well to the big screen but Ghost in the Shell is an exception. The sci-fi drama starring Scarlett Johansson is also one of few anime-based UHD Blu-ray movies to achieve any sort of success in the west so it’s worth checking out just to see what all the fuss is about. While not technically a movie, this incredible series of documentaries is an absolute must watch for anyone fascinated by the natural world. BBC really did a spectacular job with this series and it needs to be watched in UHD 4K in order to truly appreciate all its beauty. We already have a few UHD Blu-ray movies from Marvel on our list but what about DC? While Justice League isn’t really up there with The Avengers series, this ensemble superhero film is certainly better than most critics gave it credit for on release. The original Kingsman was an unexpected hit and luckily the sequel didn’t disappoint either. In fact, it’s probably one of the best UHD 4K Blu-ray movies of the last few years, especially for those who enjoy over-the-top spy movies. All the movies found on our list are very recent but it’s never too early to start thinking about making copies of your 4K UHD Blu-ray movies as a backup plan just in case the original discs ever get damaged or lost. The best tool for a job like that is DVDFab UHD Copy, the first reliable software that can make copies of 4K UHD movies that retain their original quality. 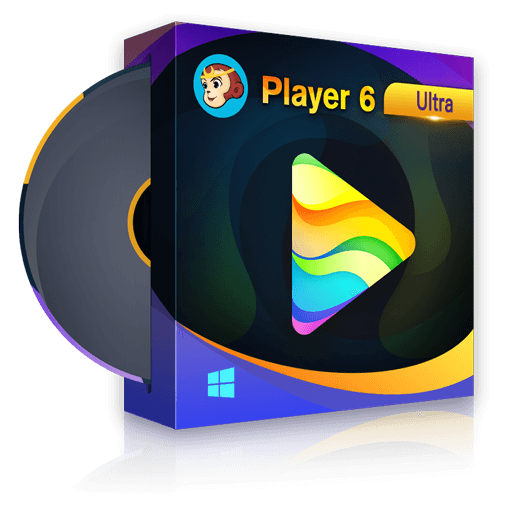 With this software you can clone the main movie title or even the full disc and save it as a 1:1 lossless ISO file. You can also use the DVDFab UHD Copy to compress movies to a more manageable size, which you can then burn on a BD25 or BD50 blank disc. 4K UHD Blu-ray movies are becoming more and more popular nowadays thanks to the spectacular video and audio quality offered by this format. There’s already a very good selection of 4K UHD Blu-ray movies available to purchase and there will no doubt be many more released in the near future. But regardless of the format, all discs deteriorate given enough time, so make sure to prevent that from happening by using DVDFab UHD Copy to make backup copies of your favorite 4K UHD Blu-ray movies. Making backup copies is a wise decision, but I think it will be cooler if you can create your own 4K UHD Blu-ray movies. For such a case, please refer to how to burn 4K movies. What are the differences between HDR and SDR? Here in this article, we will compare HDR and SDR and show you a tool to convert the HDR of 4K Ultra HD Blu-rays to SDR. Here are the reviews on the best 4K HDR Blu-ray players, you may find one you want to play your 4K HDR Blu-ray discs at home. In this article we will list some of the best 4K UHD Blu-ray players with and without HDR10 support and keeping your budget in consideration.